News nowadays in the toy industry is really depressing. So much is going on with only a handful of winners and a whole string of losers waiting to take the deep plunge of bankruptcy if they haven’t already. I’ve played a number of parts in this evolving industry from budding retail store owner, edgy online entrepreneur , collapsing brink and mortar store owner, dated web retailer, 3rd party online sales partner, and pro-level global brand manager. having been a part of all this, I’ve come up with a few thoughts on some of the wrong things I feel many in the industry have fallen victim to. 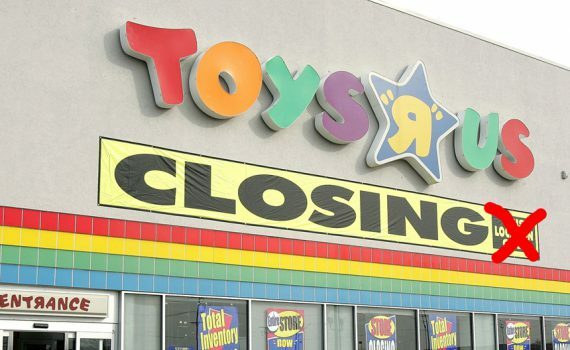 In most cases, they could have been avoided with a simple change of mindset like the evolution of a marketing strategy, but some situations were unavoidable and destined to happen (RIP my brick and mortar). Let me make my first point with marketing since that’s rather fresh in my head since my most recent job exit. In this day and age, its hard to think that staple names of any industry would miss the mark when it comes to social media. Consumers are using it, its growing exponentially, and its totally free! who wouldn’t want to use this tool? The aging toy industry. I guess there was a time that larger toy manufacturers got wind of the idea that Social Media for kids was bad… at least that’s the excuse I was told. Maybe at one time this was a bit of a riskier move, but to still have this mindset in this day and age is practically ludicrous, especially if you’ve got legacy licenses that actually appeal to adults. To the industry insider’s credit, the rule on social media sites is that individuals under the age of 13 can’t start an account with Facebook, YouTube, or other social platforms. So, I could see that perspective, but what I don’t think was realized is that the people who actually buy the products, the adults, social media was the ultimate resource! In addition, though a child couldn’t start an account, that’s not going to stop them from viewing the social media site (YouTube, anyone?). Such a wasteful opportunity to miss out on when a child goes to their parents to ask about a toys and the parents look on Facebook, YouTube, or Instagram to find nothing but amateur, public access style video reviews that wouldn’t hold a candle to what a real marketing master to present. I really felt the excuse was more of a cop out to not learn a trend that was mostly unfamiliar at the time, and to this day, its still a mystery to most I’ve worked around. If you look onto the biggest names in toys right now, you’d be surprised at how pitiful some of those social media numbers are. Looking quickly online, Mattel, Jakks Pacific, Bandai America, MGA Enterainment and Spin Master don’t even have a combined Facebook following that reaches 500k people. Who’s doing it right? Hasbro with 3.4M, Funko with 757k, and the king of them all Lego with a commanding 12M followers. ‘Well, its not about the company, but the brands that are promoted. Those are the labels that sell.’ I can see this as a possible argument as MGA Entertainment has an abysmal count just over 200 followers (yes, that little), the official Bratz Facebook page is just about to tip 900k. From the latest Toy Industry analyst reports, they say if a toy company doesn’t have a YouTube strategy, you better have one very soon. I feel if a company is just now getting to this, the future seems dim. Social media with the media trifecta (FB, YT, IG) are essentials in the modern marketing age. I’ll explore more about why older marketing (TV, web banners, movie tie-ins) are having a tough time.